Also, I noticed that Five For Friday category has been neglected for last couple of months – I am sorry about that and will do my best to bring a little something different to Fridays more often. It’s Friday, I am in love kind of a thing, but Middle East Revised way. Sonbahar (Autumn) could easily be one of my favourite films of all time. If favourite means films that stay with you, somewhere inside, films you can watch many times and still enjoy every little detail, films you remember and connect with your everyday life many years later – then Sonbahar is one of my favourite films. It is a story about a man who struggles after his release from ten years as a political prisoner (story painfully familiar to many people in Turkey). Sonbahar is Özcan Alper’s debut film, full of meaningful silence, obervations on life and change. It takes you inside the soul and mind of the prisoner (Yusuf) – where his troubles hide, where sorrow finds its nest, where disappointment and doubts have permanent residence. And all of that happnes in the beautiful snowy mountains of northern Turkey, or by the raging sea. Memory confronts reality the same way waves hit the shore relentlessly. Yusuf meets his old mother, his childhood friend, and a new girl – who shares his solitude. Slowly, he grasps the impact his ten years in prison had on his mother, he sees the way his friend’s life changed, and finds comfort (atleast for a while) in the arms of the girl who understands him without talking. The movie is not slow, it has perfect pace for all of those who want to really get into the story, who wish to feel what Yusuf feels, who want to take it one step at a time. For it is a big story, it is one’s life. Onur Saylak and Nino Lejava’s performances as disillusioned individuals embittered with life are beyond great – they make you believe and let under their skin. I will not write more – I will leave it to you to discover all the beauty of Sonbahar, to explore it in your own way. Just one more thing – an amazing song from the film, which needs to be shared here. Takva (A Man’s Fear of God) is something very different from Sonbahar. It is a story about a humble and introvert Muharrem who lives in a solitary and meager existence of a prayer and sexual abstinence adhering strictly to the most severe Islamic doctrines. His devotion attracts the attention of the leader of a rich and powerful Istanbul religious group and he offers him an administrative post as a rent collector for their numerous properties. Muharrem’s new job throws him into the modern outside world he has successfully avoided for so long. He used to live without deep thoughts about practical life and religion, and it all changes. That’s when the doubt starts playing an important role in his life. And religious fanatics – well, they don’t appreciate doubt very much. Muharrem notices that he himself has become proud, domineering and dishonest. And he has a special new peoblem – a tormenting image of seductive woman who tempts him in his dreams. With the balance of his devotion now upset, his fear of God begins to eat away at his senses. The plot for this lovely film is based on an old folk tale from Turkey about a man who refuses to marry the daughter of his spiritual master although he clearly loves her. In Onder Cakar and Omer Kiziltan’s adaptation, it exposes the inner mechanisms of puritan and extreme religious orders and throws light on the mental set-up of its loyal members. There’s so much great irony in this film, do watch it. 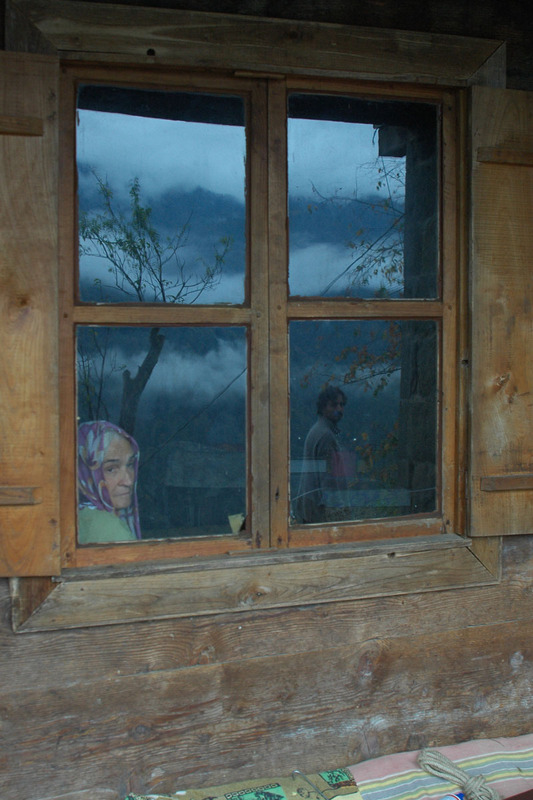 Nuri Bilge Ceylan is one of the most famous Turkish directors, earning praise wherever he goes and whatever he does. All of that is, of course, with a good reason – his immense talent. 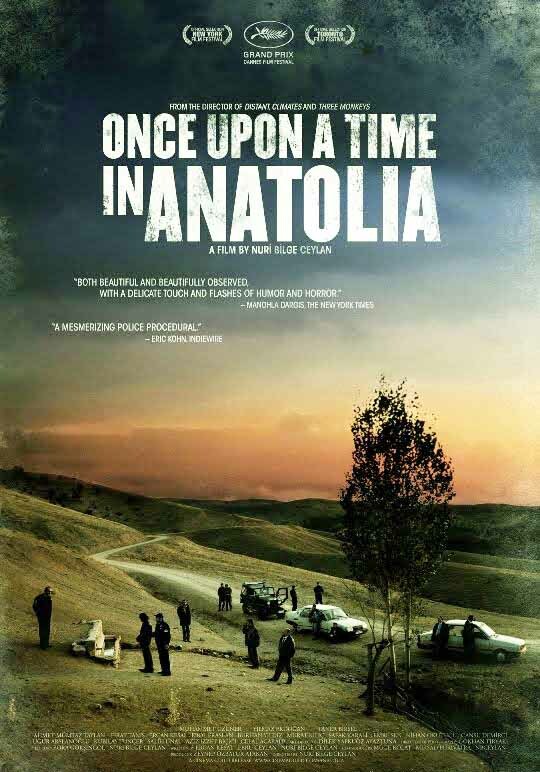 Once Upon a Time in Anatolia is a story about a group of men who set out in search of a dead body in the Anatolian steppes (yes, there’s some amazing scenery in this film). A local prosecutor, police commissar, and a doctor lead the search for a victim of a murder to whom a suspect named Kenan and his mentally challenged brother confessed. The search is proves to be more difficult than expected as Kenan is fuzzy and can’t remember the body’s exact location. We spend the whole night with the group searching for the body. The film really feels like that – like you’re out there with them – you feel the boredom, exhaustion, anger, all of it. The film is long, it provides enough space to feel all of that. You pass throught the beautiful countryside, and enjoy small frames and moments that wonderfully shed light on the different characters. It shows how a simple task can get complicated, it show how much can fit in just one moment, in one night. It allows the viewers to see the details, to dig below the surface of events and characters. There’s just so much of life in it – in its honesty, in the reality of it. It’s bold and it’s a lot (it’s definitely not escape cinema), but I think we can take it – and love it. Well, it’s called Times and Winds. It sounded promising right away. I grew up in a small village, and this film just hits home for me. In the film, it’s all about this small, poor village, leaning over high rocky mountains, facing the immense sea, flanked by olive yards. It’s about they way life is made there – and how it is different in so many ways. Villagers are simple people who struggle to cope with a harsh nature. They earn their living, on a daily survival basis, out of the earth and of a few animals they feed. Just like the animals and trees around them, they have the knowledge of their temporary existence – they feel the present in a way physicists could never understand. They are the ones who know what it means – it’s their time mode. Villagers live according to the rhythm of the earth, air and water, day and night and seasons. The daily time is divided into five parts by the sound of the call to prayer (Night, Evening, Afternoon, Noon and Morning). Children study in the village school consisting of only one classroom. Families show their gratitude to the young teacher by giving her presents – the bread they cook themselves, the milk of their own sheep. It’s the way my grandma used to do it (and still does it) – wine for the teacher, eggs for the doctor. You give what you have, you give what you make. Children grow up slowly in the village, you can feel it. We can feel their stories, their little torments – being in love with the teacher, being angry at your parents, discovering secrets of the adult life. Omer, Yakup and Yildiz are on the path of discovery, on their way to greater responsibility, transcending from childhood to an entirely new world. They yearn for an escape, and gather in the wilderness around the village to play and dream. Images show the young children lying prone – dead or asleep – out in the wilderness. As one viewer observed – it might be a sad reflection of a world where they already feel like a disappointment. But, I would add, it might also be what saves them in the end. Also – Arvo Part’s music just makes it perfect, it completes the circle. 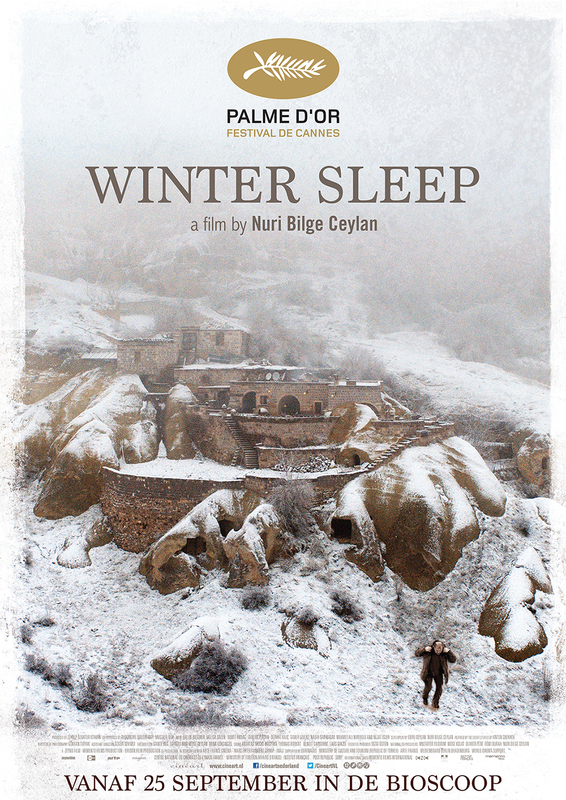 Another slow, life-contemplating film by Nuri Bilge Ceylan. 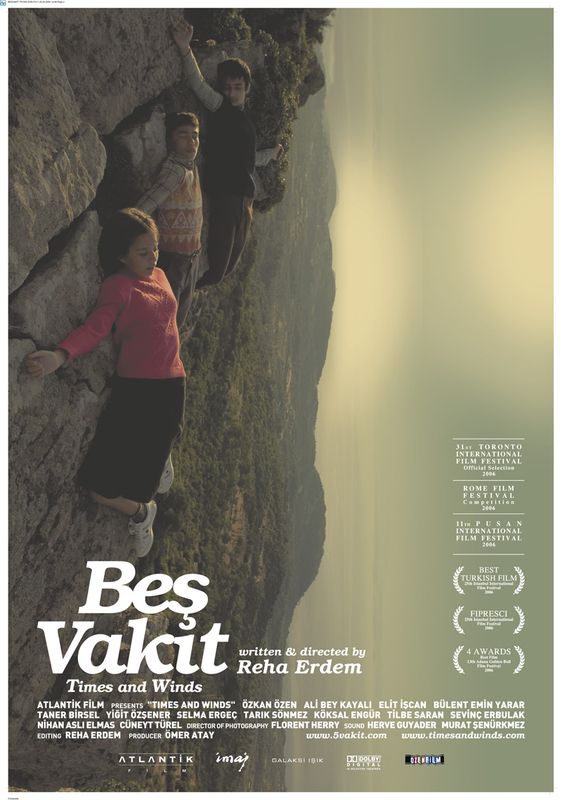 Aydin, a former actor, runs a small hotel (named Othello) in central Anatolia (again, amazing scenery) with his young wife Nihal with whom he has a stormy relationship and his sister Necla who is suffering from her recent divorce. Snow everywhere and love (and ego) will tear us apart – kind of times. As the snow begins to fall, the hotel turns into a shelter but also an inescapable place that fuels their animosities. So, in a way, it is a shelter turned into a battlefield. It also goes to show that there’s no shelter from ourselves. 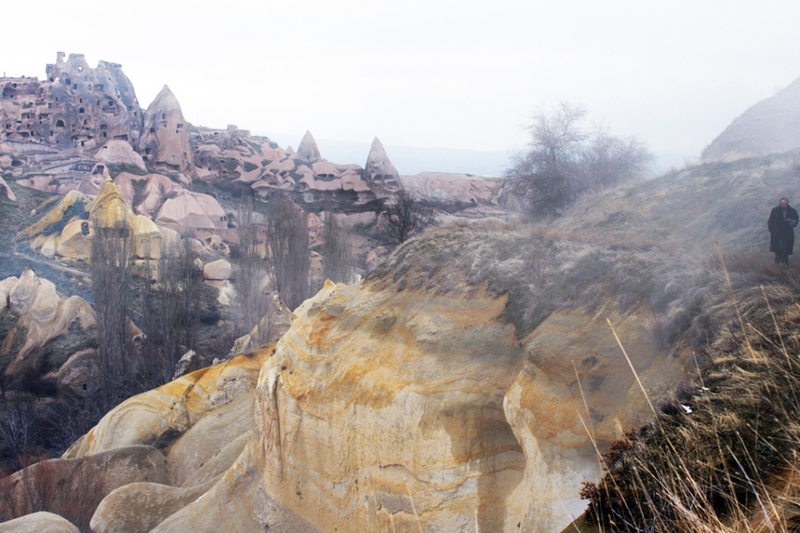 Aydin apparently enjoys a prosperous life, but that is just the surface – his world is one where people talk a lot but say very little, where people make up and cover up with words the lack of action and emotion. Ceylan shows how his protagonists substitute talk for action. There is lots of dialogue in this film, unlike most of the other films on this list, but all the talk in it shows how talking can be empty, how it can be means of self deception, an ego trip, a false charade. The film deals with the universal human experience, and puts it into a kind of a moralistic tale (but not a preaching one). It just opens many philosophical discussions, but discussions we can all partake in. It makes us relate, rethink, and feel – over and over again. This is a film I plan on watching again in the future – as I (hopefully) get older and my experiences in life change – I want to see how my perception of the film (and life) will change, what will I understand better, what rewards this film still has to give me. Winter Sleep just might make you more awake than ever. Watch it.